If you are a final year student or a fresh graduate, you may want to consider applying for a Graduate Program to kick-start your professional career in Australia. It is important to be well-prepared on a right direction when applying for a graduate program. 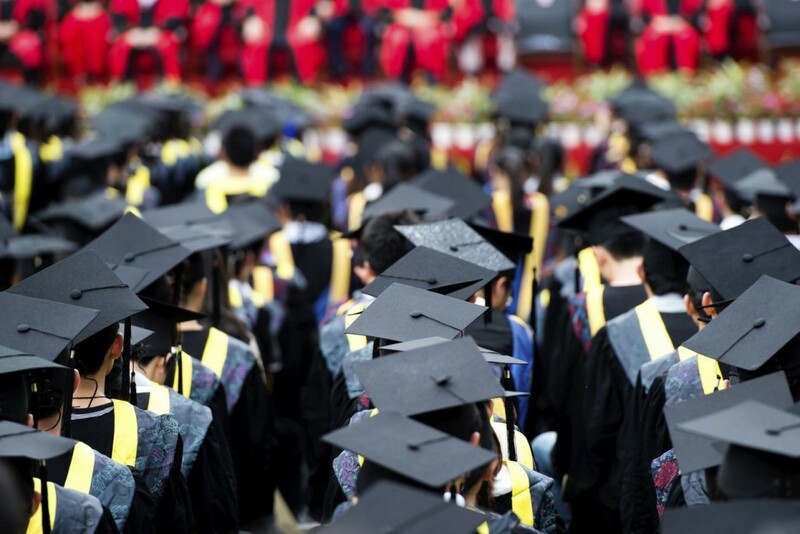 In this case study, NotedCareers would like to share some insights on the process of graduate programs as well as advice on how to best prepare to win a Graduate Program. This case study will highlight one of our successful clients, Fred Z., sharing his experience in graduate program application process step by step with NotedCareers’ assistance. He received 5 graduate program offers from KPMG, PWC, EY, Deloitte, Apple, and RACV after got into 13 final rounds. In 2007, Fred arrived in Australia starting high school in Perth. He then moved to Canberra to study Bachelor of Actuarial Study and Master of Finance at Australia National University. His interests in statistics and math cultivated his passion to work in finance. After graduation, even though he was trying to apply for many Graduate Programs, he struggled to secure one. He, hence, decided to seek professional guidance and assistance to better prepare for his applications and career. That’s when he reached out to NotedCareers for a right strategy. As thousands of our successful clients, we partnered to work with him to strategise his career journey and gaining success at each step of many Graduate Programs. An application of graduate programs has several steps to follow. In order to successfully get into the next step of your application, preparation for each step is the key to success. Below are the detailed steps of a graduate program and some advice from Fred on how to prepare to win at each stage of the application. An online application is the first stage where you submit your resume, cover letter and, sometimes, a key selection criteria response. Resume, cover letter and key selection criteria response are crucial documents to set the first positive impression of your application. Personalisation is the key to make these documents and your application standing out. Your professionalism and skills should be reflected on not only the content but also the layout and design of your documents. Keywords matching employer’s requirements are major components to highlight how you are best suited to the program. Once you pass stage one, you will continue to a psychometric test that assesses your personality, ability and aptitude. For most companies, a hurdle of 80% in the online test is your ticket to the next stage. In order to achieve a minimum of 80%, Fred realised that practice only is not enough. With the assistance of our professional consultants, Fred learned relevant knowledge and right strategies for understanding questions, time management and practice to complete the assessment. As the result, he managed to improve his score from 75% to 98% to qualify for next step of Graduate Programs. Typical behavioural and motivational questions are asked during the video/telephone interview to assess your problem-solving ability. S.T.A.R (situation, tasks, action, and result) strategy is an effective approach for candidates. Fred practised his interview answers and strategies at mock interview sessions with NotedCareers to improve his confidence and communication skills. It is highly competitive when it comes to the assessment centre. There will be a handful of candidates to participate activities such as group discussions, role plays and presentations. Normally, this assessment will be either half a day or whole day for HR personnel to observe the performance of candidates. The HR team then considers how well these potential graduates will fit into the company culture and working environment. Fred followed our detailed instructions on how to showcase his work-related abilities and personalities. He, hence, portraited himself as the number one candidate during this stage. Final interviews can be as a panel and/or individual interviews. A comprehensive company and industry research is a must to prepare for this stage. This is the best opportunity for you to emphasise your enthusiasm to contribute to the growth of the company. NotedCareers is a well-established career management company. We dedicate to providing personalised career management solutions and assisting clients across all levels to fast-track their career. As a graduate, it is critical to have a clear vision of your career to kick-start your desired career path. Call us on 1800 326 422 to book a free consultation with one of our consultants today to explore your career opportunities and discover your potentials.